a cure for breast cancer... that sounds much better. whatever it takes, however we get there, we have to find a way to make it happen. for people to come together, to effect a change, to fund and find a cure. we are so proud of lisa for getting out there and "walking" the "walk" and we were equally happy to support her efforts. one way or another we have to get involved. for ourselves, for our loved ones, walk the walk. after hearing dr. susan love speak at an event here in malibu, her determination to find a way to end breast cancer through research and prevention was so inspiring! 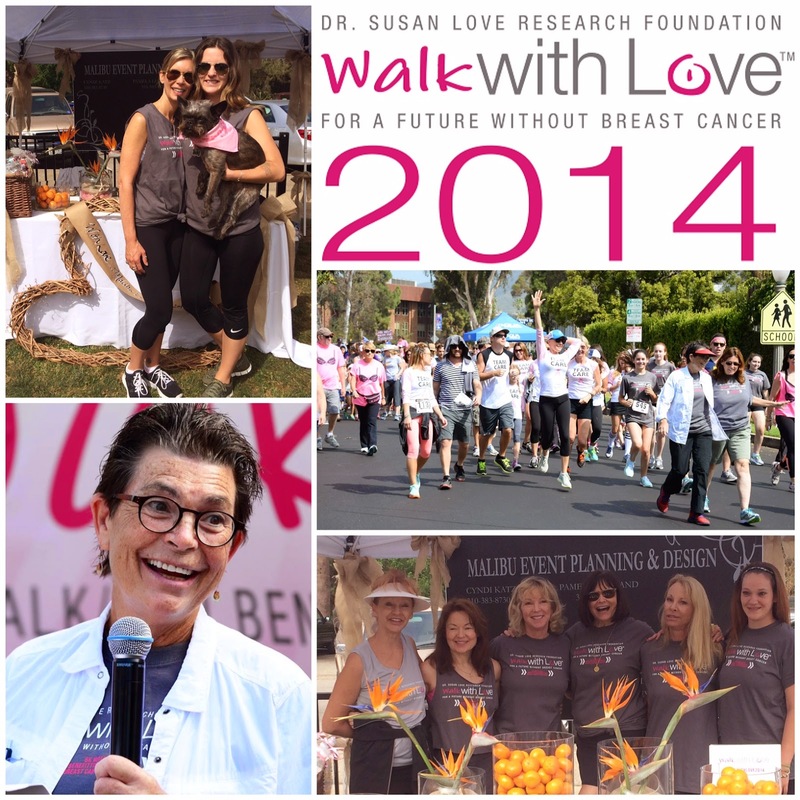 she's extremely passionate and it was an honor to participate in the "walk with love" 5k event in pacific palisades to benefit her research foundation's programs. making it even more special was doing it with bridget, our previous art director of more than four years and her pooch, dez. we can all participate in finding a cure by signing up for "army of women" no matter one's age, gender, ethnicity, breast cancer survivors, women and men at high-risk for the disease, or healthy women and men. simply fill out a quick survey with very basic information and you will be informed of upcoming research programs in which you may choose to participate. dr. love is hopeful this will leave to eradicating breast cancer once and for all; this is her mission.